BEAUTIFUL SOUTHWESTERN STYLE 3 BEDROOM 2 BATHROOM HOME + an Office in Telavera. 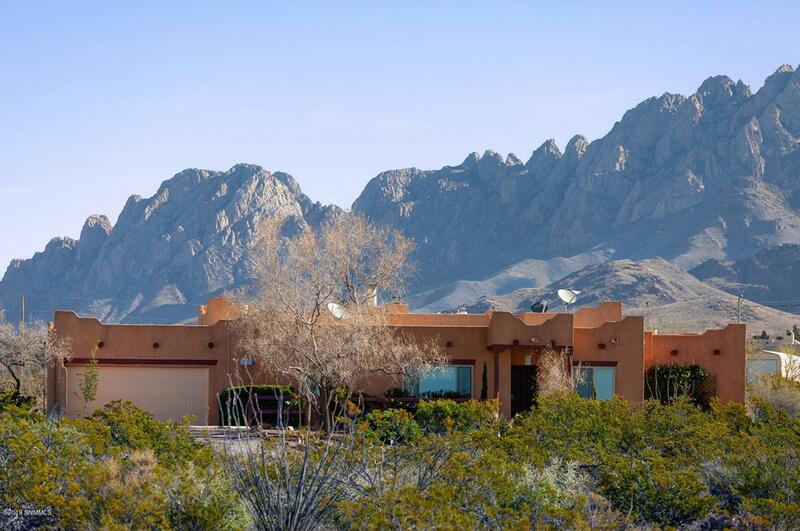 Surrounded by amazing views and bordering the Organ Mountain Desert Peaks National Monument this house is something quite special. Sit on the covered back patio and take in the amazing mountain views or enjoy a fire under the stars. Inside you will find a well thought out floor plan with incredible attention given to every detail. Enjoy 2 fireplaces in the winter and the refrigerated air conditioning will keep you comfortable all summer. Words can't quite describe the peacefulness of this home. - Come by and see it today!